Nestled in an inlet of the river Krka, Šibenik is a lovely old Croatian town, with a sheltered marina and a laid-back feel. Go 13km west to find Vodice, a former fishing village now transformed into a bustling tourist town with long sandy and pebbly beaches. With ferry terminals and boat moorings in both towns, you can easily access the nearby beautiful islands and national parks. Šibenik is one of the only towns in the area founded by Croats rather than Romans or Greeks. But in later times it was ruled by Venice, Hungary, Bosnia and Italy. You can still see remnants of the city’s past inhabitants in the old churches, and buildings. A must-see is the Cathedral of St James, a UNESCO World Heritage site. Built in the 15th century, and extensively repaired after damage by bombing in the Croatian War of Independence in 1991, the cathedral is the most important Renaissance building in Croatia. There are a number of other old churches from the 13th to the 16th century, as well as a 15th century fortress on the hill behind the town where you can get a panoramic view of the area. 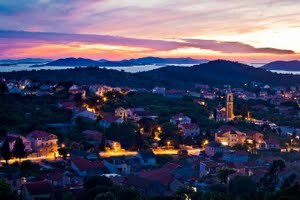 Vodice is a popular tourist destination, historic and bustling with restaurants, bars and local life. With the Krka River running through both, these areas of Sibenik contain natural beauty, they must be visited. 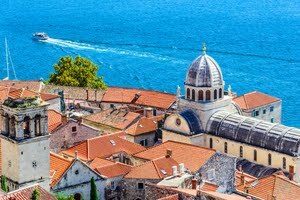 These fairly small towns are historical with plenty of things to see and do as well as great traditional dishes to try. Almost untouched by tourism, these beautiful islands are best explored by boat. 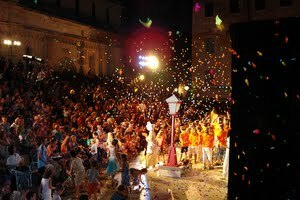 If you’re there in summer you might catch the International Children’s Festival, a 50-year-old tradition which has survived decades of upheaval in the town. Both adults and children will enjoy the entertainment - theatre, puppetry, music, film screenings and arts and crafts workshops. 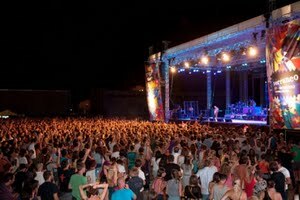 Šibenik also hosts Terraneo, an increasingly popular summer music festival in August each year. It is held in disused army hangars, and features more than 100 international musical acts and DJs. 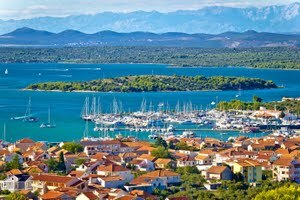 Once a humble fishing village, in recent decades Vodice has transformed into a popular tourist town. It is picturesque with its ruined 16th century city walls, and 18th century church, but also humming, packed with busy restaurants, bars and cafes. Stroll along its waterfront promenade to find a good selection of bars and restaurants, overlooking the pebbly beach. It’s a great beach sheltered by pine trees with facilities for diving, windsurfing and water sports. There are also some beach nightclubs, which are very popular in summer. 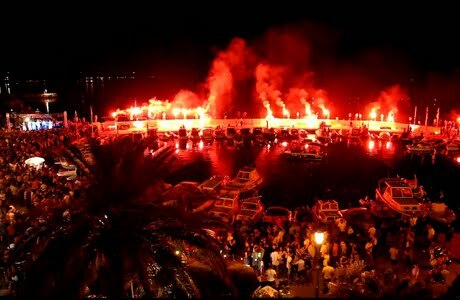 Visit in August to experience the Vodička Fešta (translates to Vodice Feast) where the whole town is full of music, with fireworks and celebrations on the waterfront. 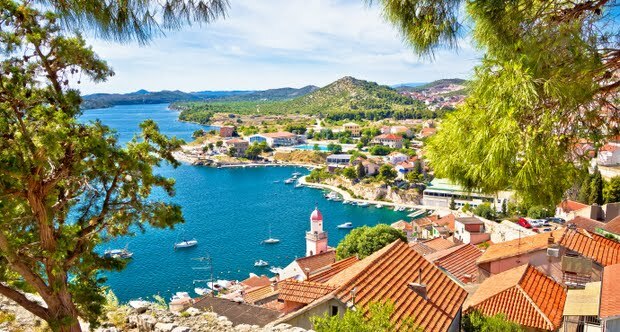 Šibenik and Vodice are great places to base yourself for visiting two of the country’s most beautiful national parks - Krka and Kornati Islands. Krka National Park is just a few kilometres drive from both towns, or you can charter a boat and access the park from the sea up Krka River. Krka has stunning waterfalls, lakes, caves and forest, as well as tantalising swimming spots. Take a ferry or boat to the Kornati Islands National Park to find 89 untouched islands with secluded beaches, interesting natural formations and wildlife. 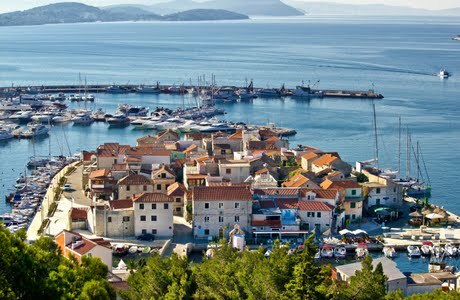 You can also easily get to the closer islands such as Kaprija, Zirje and Murter. But there is also plenty to do if you want to stay on the mainland. Both towns have a selection of pebbly, sandy, paved and rocky beaches nearby, as well as plenty to explore in the towns. The main Vodice beach is 4km long with a mixture of pebbles, rocks and paved areas, great for sunbathing, water sports and swimming. Also check out Banj beach in Šibenik, Slanica beach on Murter Island and Jadrija beach, halfway between Šibenik and Vodice. There are also cute hidden beaches on the nearby islands and islets. Šibenik has an increasingly good range of gourmet, local and fast food restaurants, offering a range of Mediterranean-style cuisine and locally caught seafood. There are also a number of wine bars and night clubs. Vodice’s waterfront is packed with lots of restaurants and bars, all with lovely sea views. Make sure you try the local sweet wine marasćina, a speciality in Vodice. You can also buy fresh local produce at market stalls including specialities like olive oil and dried figs. www.croatiaholidays.com is proudly part of the Really Good Holidays Ltd group. of travel brands.